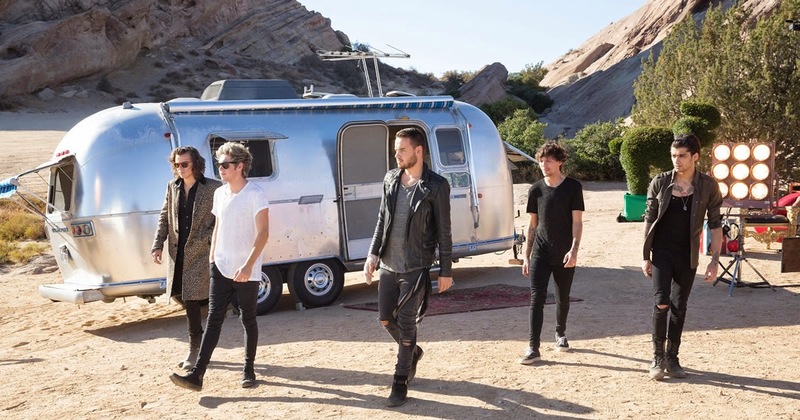 The official video for 1D new single Steal My Girl, which was co-written by band members Louis Tomlinson and Liam Payne, features the band in the desert, Danny De Vito, sumo wrestlers, ballerina’s, acrobats, marching band a chimpanzee and a lion. We kid you not! Then the boys are given cute nicknames by visionary directory Devito with Harry being love, Louis is danger, Liam is power, Zayn is mystery and Niall is light. Not sure exactly why, but we won’t question it. The boys will be heading back to Australia in 2015 for their stadium tour and their new album Four will be released 17th November available on iTunes now..!